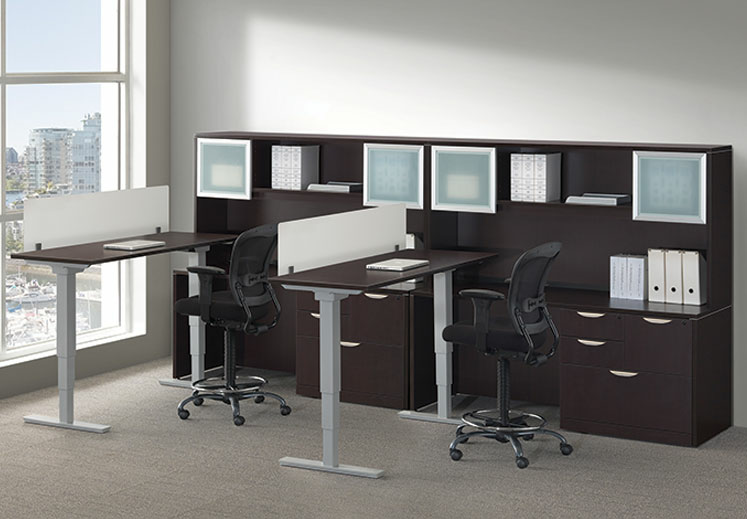 Office Source & COE Furniture available through Z Modern Furniture Store In Alexandria Virginia. White Glove delivery available in Northern Virginia, Washington DC & Maryland. StandUp Standing Desk Series by OfficeSource® What takes a product from ordinary to extraordinary? Unique design...convenience...simplicity of use...or the fact that using it can make you healthier? When all of these elements combine...you've found the next generation in innovation. Introducing the StandUp® Standing Desk Series by OfficeSource®...a solution for home and workplace wellness. Our desks are quick, easy, and quiet to operate while offering the optimal vertical range to accommodate people of all sizes. 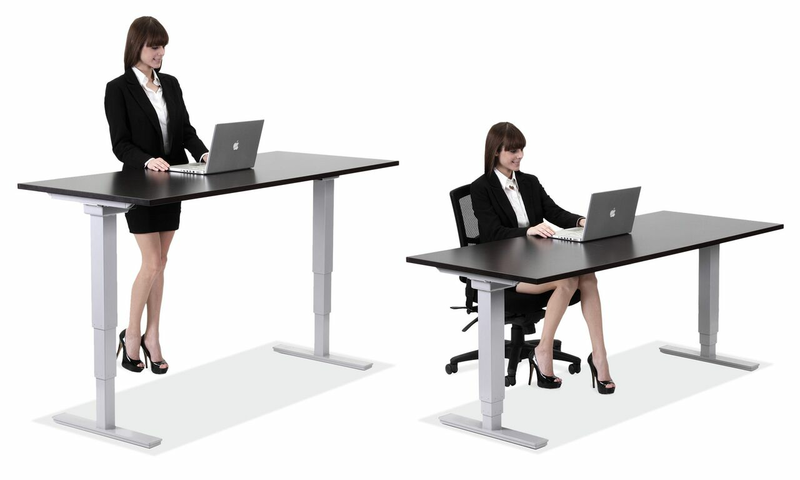 It's the ergonomic solution to a healthier workplace! 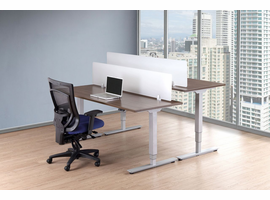 StandUp to a Better Workplace StandUp offers cutting-edge adjustable height workspaces that allow you to sit and stand throughout the day. Choose from three lifts to give you the flexibility you need at a price you can afford. StandUp Standing Desks are both ergonomic and inspirational. Stand up and stand out! Contact us today for more information. Benefits of a StandUp Standing Desk Reduce the risk of obesity - Standing from time-to-time introduces a variety of natural little movements to your day. Reduced risk of disease - Sitting for extended periods contributes to metabolic problems including type 2 diabetes. Less Cardiovascular Disease - Simply put, sitting all day is bad for the heart. Lowered cancer risk - Recent studies potentially link prolonged sitting with increased breast and colon cancer risks. Live longer in better health - Cutting time in a chair by few hours a day can add years to your life!